Diabetic retinopathy (DR) is a major cause of visual impairment worldwide. Visual reduction in patients with DR is usually related to diabetic macular edema (DME). Today, the intravitreal injection of anti-vascular endothelial growth factors (VEGF) is replacing macular laser photocoagulation as the standard treatment for DME; however, in some patients, incomplete responses to the anti-VEGF injection, defined as refractory DME, may occur. Currently, the sequence of using one treatment option and the timing to switch from one agent to another is not fully understood, and the data from clinical trials on the appropriate approach to manage refractory DME is insufficient. In the current study, a review was conducted to evaluate therapeutic options for the management of refractory DME. Zhang X, Saaddine JB, Chou CF, et al. Prevalence of diabetic retinopathy in the United States, 2005-2008. JAMA. 2010;304(6):649-656. doi:10.1001/jama.2010.1111. Ting DS, Cheung GC, Wong TY. Diabetic retinopathy: global prevalence, major risk factors, screening practices and public health challenges: a review. Clin Exp Ophthalmol. 2016;44(4):260- 277. doi:10.1111/ceo.12696. Sivaprasad S, Gupta B, Crosby-Nwaobi R, Evans J. Prevalence of diabetic retinopathy in various ethnic groups: a worldwide perspective. Surv Ophthalmol. 2012;57(4):347-370. doi:10.1016/j.survophthal.2012.01.004. Liu L, Wu X, Liu L, et al. Prevalence of diabetic retinopathy in mainland China: a meta-analysis. PLoS One. 2012;7(9):e45264. doi:10.1371/journal.pone.0045264. Cheung N, Mitchell P, Wong TY. Diabetic retinopathy. Lancet. 2010;376(9735):124-136. doi:10.1016/S0140-6736(09)62124-3. Hayreh SS. Neovascular glaucoma. Prog Retin Eye Res. 2007;26(5):470-485. doi:10.1016/j.preteyeres.2007.06.001. Das A, McGuire PG, Rangasamy S. Diabetic macular edema: pathophysiology and novel therapeutic targets. ophthalmology. 2015;122(7):1375-1394. doi:10.1016/j.ophtha.2015.03.024. Bhagat N, Grigorian RA, Tutela A, Zarbin MA. Diabetic macular edema: pathogenesis and treatment. Surv Ophthalmol. 2009;54(1):1-32. doi:10.1016/j.survophthal.2008.10.001. Schatz H, Madeira D, McDonald HR, Johnson RN. Progressive enlargement of laser scars following grid laser photocoagulation for diffuse diabetic macular edema. Arch Ophthalmol. 1991;109(11):1549-1551. doi:10.1001/archopht.1991.01080110085041. Laursen ML, Moeller F, Sander B, Sjoelie AK. Subthreshold micropulse diode laser treatment in diabetic macular oedema. Br J Ophthalmol. 2004;88(9):1173-1179. doi:10.1136/bjo.2003.040949. Tang J, Kern TS. Inflammation in diabetic retinopathy. Prog Retin Eye Res. 2011;30(5):343-358. doi:10.1016/j.preteyeres.2011.05.002. Aveleira CA, Lin CM, Abcouwer SF, Ambrosio AF, Antonetti DA. TNF-alpha signals through PKCzeta/NF-kappaB to alter the tight junction complex and increase retinal endothelial cell permeability. Diabetes. 2010;59(11):2872-2882. doi:10.2337/db09-1606. Behzadian MA, Wang XL, Windsor LJ, Ghaly N, Caldwell RB. TGF-beta increases retinal endothelial cell permeability by increasing MMP-9: possible role of glial cells in endothelial barrier function. Invest Ophthalmol Vis Sci. 2001;42(3):853-859. Brown DM, Nguyen QD, Marcus DM, et al. Long-term outcomes of ranibizumab therapy for diabetic macular edema: the 36-month results from two phase III trials: RISE and RIDE. Ophthalmology. 2013;120(10):2013-2022. doi:10.1016/j.ophtha.2013.02.034. Wang K, Wang Y, Gao L, Li X, Li M, Guo J. Dexamethasone inhibits leukocyte accumulation and vascular permeability in retina of streptozotocin-induced diabetic rats via reducing vascular endothelial growth factor and intercellular adhesion molecule-1 expression. Biol Pharm Bull. 2008;31(8):1541-1546. doi:10.1248/ bpb.31.1541. Tamura H, Miyamoto K, Kiryu J, et al. Intravitreal injection of corticosteroid attenuates leukostasis and vascular leakage in experimental diabetic retina. Invest Ophthalmol Vis Sci. 2005;46(4):1440-1444. doi:10.1167/iovs.04-0905. Haller JA, Dugel P, Weinberg DV, Chou C, Whitcup SM. Evaluation of the safety and performance of an applicator for a novel intravitreal dexamethasone drug delivery system for the treatment of macular edema. Retina. 2009;29(1):46-51. doi:10.1097/IAE.0b013e318188c814. Pacella F, Smaldone G, Albanese G, Campagna O, Turchetti P, Pacella E. Treatment chronic macular edema in Vogt-Koyanagi Harada syndrome with dexamethasone intravitreal implant: description of three case. Senses and Sciences. 2015;2(1):57-63. doi:10.14616/sands. Do DV, Nguyen QD, Boyer D, et al. One-year outcomes of the da Vinci Study of VEGF Trap-Eye in eyes with diabetic macular edema. Ophthalmology. 2012;119(8):1658-1665. doi:10.1016/j.ophtha.2012.02.010. Elman MJ, Aiello LP, Beck RW, et al. Randomized trial evaluating ranibizumab plus prompt or deferred laser or triamcinolone plus prompt laser for diabetic macular edema. Ophthalmology. 2010;117(6):1064-1077.e1035. doi:10.1016/j.ophtha.2010.02.031. Nguyen QD, Brown DM, Marcus DM, et al. Ranibizumab for diabetic macular edema: results from 2 phase III randomized trials: RISE and RIDE. Ophthalmology. 2012;119(4):789-801. doi:10.1016/j.ophtha.2011.12.039. Wells JA, Glassman AR, Ayala AR, et al. Aflibercept, bevacizumab, or ranibizumab for diabetic macular edema. N Engl J Med. 2015;372(13):1193-1203. doi:10.1056/NEJMoa1414264. Dhoot DS, Pieramici DJ, Nasir M, et al. Residual edema evaluation with ranibizumab 0.5 mg and 2.0 mg formulations for diabetic macular edema (REEF study). Eye (Lond). 2015;29(4):534-541. doi:10.1038/eye.2014.338. Ehrlich R, Dan I, Deitch I, Axer-Siegel R, Mimouni K. The effectiveness of intravitreal ranibizumab in patients with diabetic macular edema who have failed to respond to intravitreal bevacizumab. Ophthalmologica. 2016;235(3):133-136. doi:10.1159/000444103. Ciulla TA, Hussain RM, Ciulla LM, Sink B, Harris A. Ranibizumab for diabetic macular edema refractory to multiple prior treatments. Retina. 2016;36(7):1292-1297. doi:10.1097/IAE.0000000000000876. Katz G, Moisseiev E, Goldenberg D, et al. Ranibizumab for persistent diabetic macular edema after bevacizumab treatment. Eur J Ophthalmol. 2017;27(2):210-214. doi:10.5301/ejo.5000838. 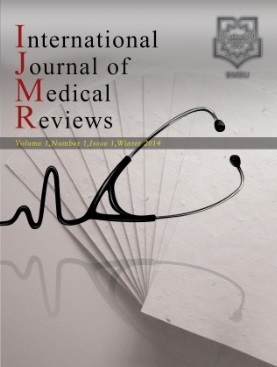 Ehlers JP, Wang K, Singh RP, et al. A prospective randomized comparative dosing trial of ranibizumab in bevacizumab-resistant diabetic macular edema: the REACT Study. Ophthalmol Retina. 2018;2(3):217-224. doi:10.1016/j.oret.2017.07.004. Fechter C, Frazier H, Marcus WB, Farooq A, Singh H, Marcus DM. Ranibizumab 0.3 mg for persistent diabetic macular edema after recent, frequent, and chronic bevacizumab: the ROTATE Trial. Ophthalmic Surg Lasers Imaging Retina. 2016;47(11):1-18. doi:10.3928/23258160-20161031-07. Lee JH, Lee WK, Kim SE. Short-term outcomes of switching to ranibizumab therapy for diabetic macular edema in patients with persistent fluid after bevacizumab therapy. J Ocul Pharmacol Ther. 2016;32(10):659-664. doi:10.1089/jop.2016.0074. Ashraf M, Souka AA, ElKayal H. Short-term effects of early switching to ranibizumab or aflibercept in diabetic macular edema cases with non-response to bevacizumab. Ophthalmic Surg Lasers Imaging Retina. 2017;48(3):230-236. doi:10.3928/23258160-20170301-06. Lim LS, Ng WY, Mathur R, et al. Conversion to aflibercept for diabetic macular edema unresponsive to ranibizumab or bevacizumab. Clin Ophthalmol. 2015;9:1715-1718. doi:10.2147/OPTH.S81523. Rahimy E, Shahlaee A, Khan MA, et al. Conversion to aflibercept after prior anti-VEGF therapy for persistent diabetic macular edema. Am J Ophthalmol. 2016;164:118-127.e112. doi:10.1016/j.ajo.2015.12.030. Wood EH, Karth PA, Moshfeghi DM, Leng T. Short-term outcomes of aflibercept therapy for diabetic macular edema in patients with incomplete response to ranibizumab and/or bevacizumab. Ophthalmic Surg Lasers Imaging Retina. 2015;46(9):950-954. doi:10.3928/23258160-20151008-08. Chen YY, Chang PY, Wang JK. Intravitreal aflibercept for patients with diabetic macular edema refractory to bevacizumab or ranibizumab: analysis of response to aflibercept. Asia Pac J Ophthalmol (Phila). 2017;6(3):250-255. doi:10.22608/APO.2016186. Bahrami B, Hong T, Zhu M, Schlub TE, Chang A. Switching therapy from bevacizumab to aflibercept for the management of persistent diabetic macular edema. Graefes Arch Clin Exp Ophthalmol. 2017;255(6):1133-1140. doi:10.1007/s00417-017-3624-y. Laiginhas R, Silva MI, Rosas V, et al. Aflibercept in diabetic macular edema refractory to previous bevacizumab: outcomes and predictors of success. Graefes Arch Clin Exp Ophthalmol. 2018;256(1):83-89. doi:10.1007/s00417-017-3836-1. Demircan A, Alkin Z, Yesilkaya C, Demir G, Kemer B. Comparison of intravitreal aflibercept and ranibizumab following initial treatment with ranibizumab in persistent diabetic macular edema. J Ophthalmol. 2018;2018:4171628. doi:10.1155/2018/4171628. Miyamoto K, Khosrof S, Bursell SE, et al. Prevention of leukostasis and vascular leakage in streptozotocin-induced diabetic retinopathy via intercellular adhesion molecule-1 inhibition. Proc Natl Acad Sci U S A. 1999;96(19):10836-10841. doi:10.1073/pnas.96.19.10836. Sohn HJ, Han DH, Kim IT, et al. Changes in aqueous concentrations of various cytokines after intravitreal triamcinolone versus bevacizumab for diabetic macular edema. Am J Ophthalmol. 2011;152(4):686-694. doi:10.1016/j.ajo.2011.03.033. Felinski EA, Antonetti DA. Glucocorticoid regulation of endothelial cell tight junction gene expression: novel treatments for diabetic retinopathy. Curr Eye Res. 2005;30(11):949-957. doi:10.1080/02713680500263598. Wilson CA, Berkowitz BA, Sato Y, Ando N, Handa JT, de Juan E Jr. Treatment with intravitreal steroid reduces blood-retinal barrier breakdown due to retinal photocoagulation. Arch Ophthalmol. 1992;110(8):1155-1159. doi:10.1001/archopht.1992.01080200135041. Bhisitkul RB, Winn BJ, Lee OT, et al. Neuroprotective effect of intravitreal triamcinolone acetonide against photoreceptor apoptosis in a rabbit model of subretinal hemorrhage. Invest Ophthalmol Vis Sci. 2008;49(9):4071-4077. doi:10.1167/iovs.08-1892. Glybina IV, Kennedy A, Ashton P, Abrams GW, Iezzi R. Intravitreous delivery of the corticosteroid fluocinolone acetonide attenuates retinal degeneration in S334ter-4 rats. Invest Ophthalmol Vis Sci. 2010;51(8):4243-4252. doi:10.1167/iovs.09-4492. Grover D, Li TJ, Chong CC. Intravitreal steroids for macular edema in diabetes. Cochrane Database Syst Rev. 2008(1):Cd005656. doi:10.1002/14651858.CD005656.pub2. Kim MW, Moon H, Yang SJ, Joe SG. Effect of posterior subtenon triamcinolone acetonide injection on diabetic macular edema refractory to intravitreal bevacizumab injection. Korean J Ophthalmol. 2016;30(1):25-31. doi:10.3341/kjo.2016.30.1.25. Shoeibi N, Ahmadieh H, Entezari M, Yaseri M. Intravitreal bevacizumab with or without triamcinolone for refractory diabetic macular edema: long-term results of a clinical trial. J Ophthalmic Vis Res. 2013;8(2):99-106. Azad R, Sain S, Sharma YR, Mahajan D. Comparison of intravitreal bevacizumab, intravitreal triamcinolone acetonide, and macular grid augmentation in refractory diffuse diabetic macular edema: A prospective, randomized study. Oman J Ophthalmol. 2012;5(3):166-170. doi:10.4103/0974-620X.106100. Chan CK, Lai TY, Mohamed S, et al. Combined high-dose sub-tenon triamcinolone, intravitreal bevacizumab, and laser photocoagulation for refractory diabetic macular edema: a pilot study. Retina. 2012;32(4):672-678. doi:10.1097/IAE.0b013e31823043c6. Unsal E, Eltutar K, Sultan P, Erkul SO, Osmanbasoglu OA. Efficacy and safety of intravitreal dexamethasone implants for treatment of refractory diabetic macular edema. Korean J Ophthalmol. 2017;31(2):115-122. doi:10.3341/kjo.2017.31.2.115. Pacella F, Romano MR, Turchetti P, et al. An eighteen-month follow-up study on the effects of intravitreal dexamethasone implant in diabetic macular edema refractory to anti-VEGF therapy. Int J Ophthalmol. 2016;9(10):1427-1432. doi:10.18240/ijo.2016.10.10. Escobar-Barranco JJ, Pina-Marin B, Fernandez-Bonet M. Dexamethasone implants in patients with naive or refractory diffuse diabetic macular edema. Ophthalmologica. 2015;233(3- 4):176-185. doi:10.1159/000371770. Iglicki M, Busch C, Zur D, et al. Dexamethasone implant for diabetic macular edema in naive compared with refractory eyes: The International Retina Group Real-Life 24-Month Multicenter Study. The IRGREL-DEX Study. Retina. 2018. doi:10.1097/IAE.0000000000002196. Maturi RK, Bleau L, Saunders J, Mubasher M, Stewart MW. A 12-month, single-masked, randomized controlled study of eyes with persistent diabetic macular edema after multiple anti-VEGF injections to assess the efficacy of the dexamethasone-delayed delivery system as an adjunct to bevacizumab compared with continued bevacizumab monotherapy. Retina. 2015;35(8):1604- 1614. doi:10.1097/IAE.0000000000000533. Maturi RK, Glassman AR, Liu D, et al. Effect of adding dexamethasone to continued ranibizumab treatment in patients with persistent diabetic macular edema: A DRCR network phase 2 randomized clinical trial. JAMA Ophthalmol. 2018;136(1):29-38. doi:10.1001/jamaophthalmol.2017.4914. Busch C, Zur D, Fraser-Bell S, et al. Shall we stay, or shall we switch? Continued anti-VEGF therapy versus early switch to dexamethasone implant in refractory diabetic macular edema. Acta Diabetol. 2018;55(8):789-796. doi:10.1007/s00592-018- 1151-x. National Institute for Health and Clinical Care Excellence (NICE). Fluocinolone acetonide intravitreal implant for treating chronic diabetic macular edema after an inadequate response to prior therapy. Technology appraisal guidance TA301. London: NICE; 2013. Schmit-Eilenberger VK. A novel intravitreal fluocinolone acetonide implant (Iluvien(®)) in the treatment of patients with chronic diabetic macular edema that is insufficiently responsive to other medical treatment options: a case series. Clin Ophthalmol. 2015;9:801-811. doi:10.2147/OPTH.S79785. Massin P, Erginay A, Dupas B, Couturier A, Tadayoni R. Efficacy and safety of sustained-delivery fluocinolone acetonide intravitreal implant in patients with chronic diabetic macular edema insufficiently responsive to available therapies: a real-life study. Clin Ophthalmol. 2016;10:1257-1264. doi:10.2147/OPTH.S105385. Elaraoud I, Andreatta W, Kidess A, et al. Use of flucinolone acetonide for patients with diabetic macular oedema: patient selection criteria and early outcomes in real world setting. BMC Ophthalmol. 2016;16:3. doi:10.1186/s12886-015-0178-9. Elaraoud I, Quhill H, Quhill F. case series investigating the efficacy and safety of bilateral fluocinolone acetonide (ILUVIEN(®)) in patients with diabetic macular edema: 10 eyes with 12 months follow-up. Ophthalmol Ther. 2016;5(1):105-109. doi:10.1007/s40123-016-0049-3. Chang-Lin JE, Burke JA, Peng Q, et al. Pharmacokinetics of a sustained-release dexamethasone intravitreal implant in vitrectomized and nonvitrectomized eyes. Invest Ophthalmol Vis Sci. 2011;52(7):4605-4609. doi:10.1167/iovs.10-6387. Lee SS, Ghosn C, Yu Z, et al. Vitreous VEGF clearance is increased after vitrectomy. Invest Ophthalmol Vis Sci. 2010;51(4):2135- 2138. doi:10.1167/iovs.09-3582. Boyer DS, Faber D, Gupta S, et al. Dexamethasone intravitreal implant for treatment of diabetic macular edema in vitrectomized patients. Retina. 2011;31(5):915-923. doi:10.1097/IAE.0b013e318206d18c. Kumar A, Alfahad Q, Mitra A, Elsherbiny S, Lip PL. Intravitreal fluocinolone acetonide (Iluvien) for treatment of refractory diabetic macular oedema in vitrectomised eyes. Eye (Lond). 2016;30(5):763-764. doi:10.1038/eye.2015.281. Pessoa B, Coelho J, Correia N, Ferreira N, Beirao M, Meireles A. Fluocinolone acetonide intravitreal implant 190 mug (ILUVIEN(R)) in vitrectomized versus nonvitrectomized eyes for the treatment of chronic diabetic macular edema. Ophthalmic Res. 2018;59(2):68- 75. doi:10.1159/000484091. Abdel Hadi AM. Evaluation of vitrectomy with planned foveal detachment as surgical treatment for refractory diabetic macular edema with or without vitreomacular interface abnormality. J Ophthalmol. 2018;2018:9246384. doi:10.1155/2018/9246384. Ghassemi F, Bazvand F, Roohipoor R, Yaseri M, Hassanpoor N, Zarei M. Outcomes of vitrectomy, membranectomy and internal limiting membrane peeling in patients with refractory diabetic macular edema and non-tractional epiretinal membrane. J Curr Ophthalmol. 2016;28(4):199-205. doi:10.1016/j.joco.2016.08.006. Amoaku WM, Saker S, Stewart EA. A review of therapies for diabetic macular oedema and rationale for combination therapy. Eye (Lond). 2015;29(9):1115-1130. doi:10.1038/eye.2015.110.